Start your Irish dancing journey here! Teaching traditional Irish step-dancing and ceili dancing to children, teens and adults since 1998. "I love Irish dancing because it makes me happy and when I dance I feel like I'm flying across the stage!" "I love all my friends in class -- some of my best friends are from dance." "Whether you are a recreational or competitive dancer, my teachers are spectacular and make Erickson Academy a friendly community where everyone is positive and celebrates each dancer's success." Our 2018-19 Wee Ones, Beginner & Adult Programs are now accepting registrations! Step into the world of Irish dancing, have fun, meet new friends. Classes start Sept 4th! Erickson Academy teachers are proud to be certified by An Coimisiun le Rinci Gaelacha (CLRG)in Dublin, Ireland. For the non-Gaelic speaking, that's the Irish Dancing Commission. Hop into Camp Erickson this summer! Learn all the Irish dancing basics plus have fun with a few art projects too! We would love to meet you! Jig on into Erickson Academy at one of our Open Houses! You can tour our studio, meet our teachers, watch some advanced dancers and have all your Irish dance questions answered. You don't have to be Irish to learn Irish dancing! 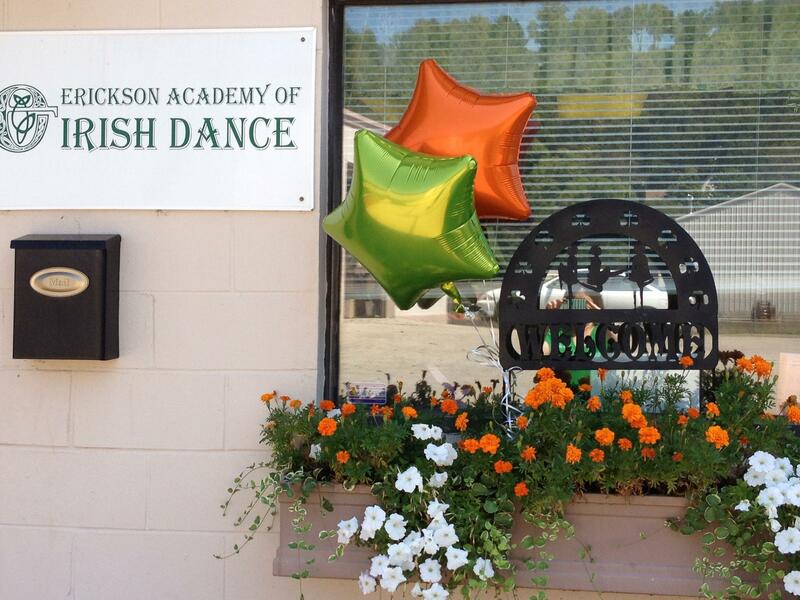 Join the excellence of Erickson Academy and see where Irish dancing takes you!